In baseball, momentum is only as good as the next day's starting pitcher. 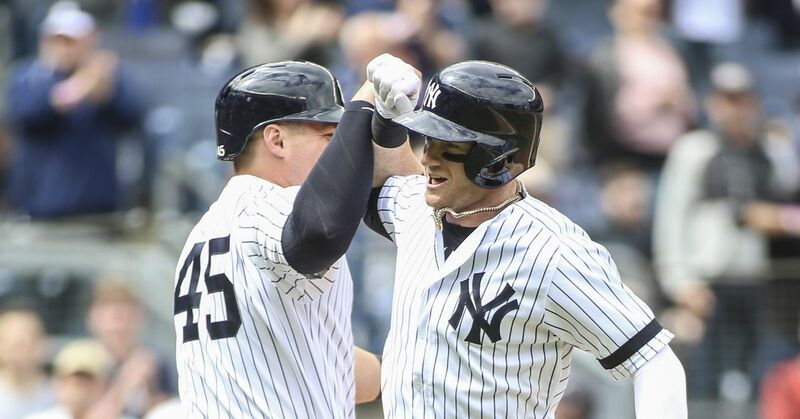 For the New York Yankees, that adage has taken on increased importance this spring as the battle for the No. 5 rotation spot rages on in Tampa, Fla. The top of manager Joe Girardi's rotation—CC Sabathia, Hiroki Kuroda and Masahiro Tanaka—will earn a combined $61 million during the 2014 season. Ivan Nova, slated to make $3.3 million, could emerge as a top-tier starter from the No. 4 role. Yet in the hotly contested AL East standings, New York's No. 5 starter spot will be a major key to success or failure this season. It's easy to get caught up in the expensive, well-known names littered throughout Tampa's Steinbrenner Field, but serious focus belongs on a quartet of unproven pitching options: Michael Pineda, David Phelps, Adam Warren and Vidal Nuno. When the Yankees head north to open the season, a victor will emerge to join a rotation expected to complement a rebuilt offense and lead the franchise back to October baseball. For most veterans, spring training results are meaningless. Players often work on timing, experiment with new pitches or attempt to refine weaknesses during the monotonous days of the exhibition season. For the four pitchers in competition for a spot in the Yankees rotation, results are far from meaningless during Grapefruit League play. While it's wrong to believe that Girardi and general manager Brian Cashman will decide a No. 5 starter based solely on statistics, those will count. As will the pitchers' past, minor league track records, upsides and health. With Opening Day on the horizon, front-runners are emerging in this competition. Publicly, the Yankees won't show their hand or play favorites as the race for this rotation concludes. But that doesn't mean the organization isn't rooting for a particular starter to emerge. When the Yankees traded Jesus Montero—one of baseball's top offensive prospects at the time—for Michael Pineda, it was seen as a star-for-star swap. Two years later, both teams are still waiting for the return on investment. Injuries have curtailed Pineda's development, but there's still hope for the 25-year-old to recapture the talent and ability that made him an AL All-Star in 2011. Prior to the start of Grapefruit League play, Girardi talked about the expectations that the team once had for Pineda and how this competition should play out, per Mark Feinsand of the New York Daily News. “When we traded for him, we expected him to be in our rotation. He’s had some injury-plagued seasons the last couple years. Obviously you want someone to rise to the top to become the fifth starter," Girardi said. In Pineda's first outing of the spring—a Mar. 7 appearance against the Detroit Tigers—the former AL Rookie of the Year candidate showed his ability and jumped out to an early lead in the race. Across two shutout innings, Pineda threw 21 of his 27 pitches for strikes, displayed velocity in the low 90s, struck out four—including Miguel Cabrera—walked none and impressed scouts in attendance, per Andrew Marchand of ESPN New York. "It is tough to get Cabrera to swing and miss twice," one scout said, per Marchand's report. While two innings and accolades from scouts and beat writers are beneficial to Pineda, more will be needed to oust a versatile swingman with 23 career starts under his belt. David Phelps, the 27-year-old righty attempting to hold off Pineda for this role, raised the stakes by tossing five scoreless innings against the Tampa Bay Rays, per Jorge Castillo of The Star Ledger. What Phelps lacks in upside he makes up for in health. It's hard to find a quote or anecdote projecting Phelps to become a top-tier starter in the big leagues. Unlike Pineda, the Yankees didn't put Phelps in the category of future ace or stopper. Yet, with the most big league experience among the contenders, Phelps brings a calming influence to the competition. If Pineda suffers a setback, Phelps is capable of holding down the role for a few months. Adam Warren and Vidal Nuno lack the name recognition, pedigree or reliability of the front-running combo of Pineda and Phelps, but don't discount their individual ability and success—albeit in a small-sample size—on the big league level. In 2013, as the Yankees slogged through a season of disappointment, both Warren and Nuno took turns in the rotation. In moments, they each shined and showed the ability to retire big league hitters. Furthermore, a look across the respective minor league careers of these four starters shows a striking similarity in work load, experience and the ability to limit runs. Nuno's 5.05 SO/BB figure is the most striking number from that chart. If a sleeper emerges before Opening Day, the 26-year-old lefty with impeccable command could be the pitcher to surprise and break camp with the team. Finally, versatility could prove to be a curse for both Phelps and Warren. Each possess the ability to pitch in relief, buoying their individual chances for garnering a spot on the 25-man roster but hurting their chances in this No. 5 starter battle. Michael Pineda, without a relief outing on his big league ledger and dealing with the uncertainty of a surgically repaired shoulder, isn't a candidate to give the Yankees anything in a relief role. If he's not in the starting rotation, expect him to continue apprenticeship in Triple-A. With less than three full weeks to go before the regular season begins, a pecking order has emerged in Tampa, Fla.: Pineda, Phelps, Nuno, Warren. Barring an unforeseen setback, the Yankees will likely give Pineda the chance to reclaim his status as one of baseball's most promising young arms. Statistics courtesy of Baseball-Reference.com and FanGraphs, unless otherwise noted. All contract figures courtesy of Cot's Baseball Contracts. Arbitration numbers and projections courtesy of MLB Trade Rumors. Roster projections courtesy of MLB Depth Charts.